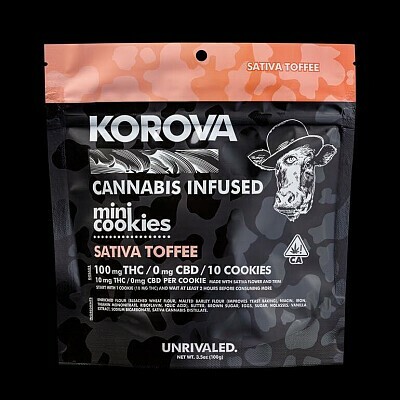 The Sativa Toffee Mini Cookies are made with actual Super Silver Haze flower and trim! Ten delicious cookies packed with delectable toffee almond pieces. 10 mini cookies per package, 10mg THC per cookie.